All of FirstLine’s K-8 schools were among the top performers in the city, for the 2017-2018 school year. This year, the Louisiana Department of Education will officially begin using student growth (value-add) metrics for assessing school performance. These metrics reflect student progress relative to their similar peers from one year to the next, providing a fair comparison of how well schools are serving all of their students. On the recently released “Top Growth Metrics”, FirstLine’s K-8 schools were the top performers in student growth in the city during the 17-18 school year. 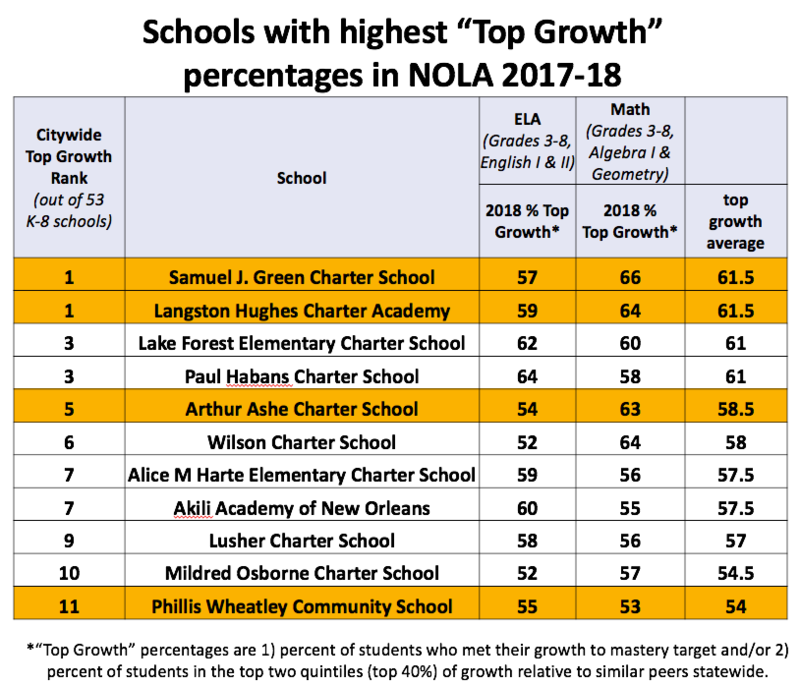 Green and Langston Hughes had the highest combined (ELA and Math) student growth in the city, Ashe ranked fifth, and Wheatley ranked eleventh out of 53 public schools, including selective admissions schools.